Ten questions every pregnant woman should ask during her anatomy ultrasound. The doctor is looking for much more than the gender! Her smile is warm, almost as calming and toasty as the gel she is about to squirt on my belly. She is the one who has done our prior 20-week ultrasounds. I know, it sounds as if I spend my life being pregnant. Truth be told, I DO have other things to do in my life, but this is our fourth pregnancy. I “have been there, done that,” but at the same time, I have butterflies in my stomach. Oh wait, it’s a baby in there, not butterflies! After what happened with our second son, I have made it my mission to learn everything I can about my pregnancies. Granted, there is nothing I could have done (or not have done) to prevent Jordan from getting sick. However, for my own peace of mind, I need to know everything about my unborn baby – everything. Our ultrasound tech knows our history. She knows how scared I am and my need to feel empowered by knowledge. She patiently answers the questions she can, and defers the rest to the doctor. I leave our appointment an hour later feeling elated, refreshed and happier than ever. One of the most exciting times during a pregnancy is the anatomy ultrasound – “the big” ultrasound scheduled about halfway through the pregnancy. It is during this scan that the ultrasound tech more than likely will reveal the gender of the baby, however that is NOT the purpose of the test. I have compiled a list of ten things the ultrasound tech and the doctor will be looking for during the scan. They may not address all these findings with you, and therefore many moms assume all is well. I encourage every pregnant woman to ask questions and to be informed about all aspect of her pregnancy. Even if you don’t ASK the questions, knowing what they are looking for empowers you and will ease a worried mind. We hope for “within normal ranges” on every measurement, but sometimes there are variations. It is important to know what they mean and when you should seek further testing or answers. I am passionate about early detection of congenital birth defects, especially heart defects. Knowing ahead of time if your baby has a birth defect, being able to plan the delivery and arrange for the best possible care and treatment ahead of time, can dramatically change the outcome. Congenital heart defects are unfortunately found in 1 out of every 100 pregnancies, the risk is real and being informed ahead of time will give your baby the best chances. How is the amniotic fluid level? Does the umbilical cord have three vessels? How does the size and placement of the placenta look? How is the size of the cervix? Does it have four chambers? Are the heart and stomach in the correct position? Is the heart rate within the normal range? Does the heart function appear correct for the gestational age? Is the size of the brain and fluid filled areas within normal ranges? Does the face have a cleft lip? Is the spine in alignment and covered by skin? How do the major organs look? Are there boy or girl parts? Ultrasound techs are trained not to discuss their findings with you, unless there is a doctor present. Try not to read their facial expressions as they are doing your ultrasound, (although it is hard not to do). Wait to ask your doctor the questions, after they have reviewed the ultrasound. The doctor will be able to discuss all the findings with you, and hopefully everything is within normal ranges. For some women, asking these questions is “information overload.” I completely respect and understand their feelings. However, after our experience with our second child, it is important for me to know as much as possible ahead of time. Remember: “knowledge is power” and enjoy the rest of your pregnancy, knowing that you are already doing a fabulous job as a mom! Do you find out the gender of the baby, or keep it a surprise? This is very good advice, Tove, especially for first-time Mamas! This is a must-read post for all mamas-to-be! Thank you – I remember how overwhelming things were as a first time mom! I hope this will help someone! Jan – thank you for your follow up questions. A lot of these defects are unavoidable, but knowing about them before the baby is born will help the parents to prepare (mentally and logistically). They will have a chance to arrange for the baby’s birth to take place at the right hospital equipped to handle the specific medical condition. Also, ultrasounds are not 100% accurate, so if your ultrasound tech isn’t experienced, they may miss some of these defects. But you asking them to focus on the heart (as an example) will help draw their attention to it – and hopefully avoid that any defects go unnoticed. I know the list is “scary” – but I also think that “Knowledge is power” – and we can’t just assume that our kids will be blessed with perfect health. I don’t mean to scare, but rather empower and educate. Hugs! Thanks so much for clarifying that for me! I believe it is essential to trust God to lead us through our pregnancies, including the many “what ifs” but I am also a firm believer in “knowledge is power” like you said. 🙂 And of course that may look a little different for each mother. I’m compiling a book on preparation for motherhood and since this was something I didn’t specifically remember coming across before I wanted to understand more thoroughly. I read through some of the related links on your blog, including Cora’s touching story and I understand why this topic is important! Thanks for sharing this! I tried to find out the gender of our baby but she was a surprise because she had her legs crossed and was turned face down for each ultrasound afterwards. But now that she’s here we can start to add more pink to her clothing rather than all that yellow, green, and gray. So thorough! Thanks for sharing. I’m sorry, but I just don’t understand this list! These are all very standard things to be looked at during an anatomy ultrasound. I understand it’s hard to put the trust of the health of your unborn child into a complete stranger, but aren’t all women going to be doing that throughout their pregnancy and delivery? Should we also ask at every appointment what our fundal height is and if we had any protein or glucose in our urine?! I don’t think so. I’m going to trust my carefully selected OB providers to keep the health of myself and my child in their best interest. How does knowing the answers to these questions positively effect our pregnancy? They don’t! This list is just more thing to worry and consume an already hormonal pregnant woman. I know it has been years since you posted, but knowing the answers to these questions can save you stress later. I found out my baby’s kidneys were dilated. They have been able to keep a close eye on things and I know when he is born he will need to see an infant urologist. Yes it is scary, but I am now prepared for what’s to come. DJ, thank you for your comment. I know a lot of people don’t want to ask these questions – in part because they don’t want to stress over things. But I am SO glad you got answers and can prepare ahead of time for the best care for your baby. Best of luck to you. I know it’s scary, but knowledge is power and you are doing an amazing job already! I think these are standard things they routinely look for at the ultrasound, their checklist of things to check. You shouldn’t have to specifically ask for any of this. Like others have said these are pretty much standard things to look at. Also, if you truly believe “knowledge is power” (as do I) you wouldn’t simply share something like this without also sharing the important facts of how inaccurate scans are and how rare each condition actually is. There is a possibility, sure, but sharing exact stats will do more to help a new mother as opposed to sharing some pretty scary questions without sharing any actual knowledge about each condition. This artical is fear inducing at the most. I don’t see the point of any of these questions. These are standard things they check at every anatomy scan and would inform you if there was a problem. My husband is a licensed Diagnostic Medical Sonographer, NOT a simple ultrasound tech. It’s important that people know that it’s the Sonographer doing all the work of checking for any abnormalities and/or diagnosing a patient, not the doctor. The doctor simply relays the information to the patient. He isn’t trained as much as Sonographers, when it comes to ultrasounds. Also, a simple ultrasound tech is not licensed or knowledgeable enough to be able to look for such things. They’re trained to check genders, that’s basically it. They also fail half the time, & that’s why they don’t get paid as much. A licensed Sonographer has real medical school training and knows how to properly check and diagnose patients. As for this particular test, it’s all standard procedure for a Sonographer to check for this and more. Clef palates can also be seen during an ultrasound. My husband has seen them before. 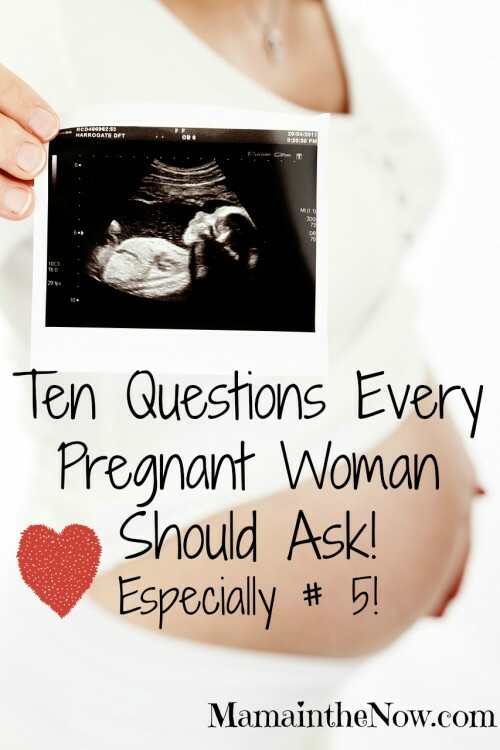 I don’t think a pregnant woman needs to be asking all of these questions during her ultrasound. It’s good to always stay informed, and by all means, ask questions, but some of these are just too much. Plus, depending on the agreement the Sonographer has with your OB, they may or may not be able to disclose any information to you at the time of your ultrasound. But trust me, if the Sonographer is sending you directly to the hospital right after your ultrasound, it almost always means the baby will be coming out very soon!! Don’t worry about these questions. UIltra sound techs are doing this while you are oh and ah-ing your baby. This is their job! If there is anything to worry about (the questions you are asking) they will let you know once they look at it and your doctor. Doesn’t pay to worry about it if you don’t have too. There are too many other things on a mama’s mind. Leave it to the professionals. Are these correct? If i was 23 weeks at this scan they would be much higher wouldn’t they? ?